1. Protection against Dry Skin or Damaged Hair. In the cold winter months, coconut oil rubbed on the lips will keep them silky smooth and prevent chapping. Many popular commercial beauty products often combine whipped shea butter and organic coconut oil to create a luxurious soothing body balm in order to exfoliate and remove dead skin. Coconut oil lotion bars are also popular skin softening products for use in the shower and bath. Continued use of coconut oil can also help to prevent stretch marks during pregnancy. Organic coconut oil is recognized as an excellent hair conditioner and serum. Users tell of the oil’s natural conditioning properties. A small dab massaged into the hair will also help to correct split ends and frizzy hair. 2. Anti-Itch Treatment. In the summer time, topically applied coconut oil is a well-known and popular remedy for itchy skin. It is helpful in reducing itching and irritation from mosquito bites, chicken pox, and even poison ivy. 3. Healthy Food Supplement. Coconut oil contains dense amounts of saturated fat, lauric acid, and medium chain fatty acids. These fatty acids behave differently than commonly processed oils and saturated fat normally found in most commercial foods. This natural composition of organic coconut oil makes it a quality source of energy and nutrients for the body. Because of this balance of healthy fats, regular consumption of coconut oil has even been known to help improve cholesterol ratios in adults. Added to a smoothie, it can provide a genuine nutritional boost! A tablespoon of coconut oil added to a warm cup of ginger tea is also a popular remedy for soothing a sore throat. Organic coconut oil is also great for cooking and possesses a high smoke point which makes the oil suitable for baking and deep frying. Many cooks suggest that coconut oil is more suitable for high-temperature cooking rather than both olive and vegetable oil. It can be used in place of vegetable oils in any recipe. As a substitute for unhealthy polyunsaturated oils, organic coconut oil can even be used in homemade mayonnaise. 4. Raising the Body’s Metabolism. When taken as a supplement for daily energy, organic coconut oil has been known to support a healthy thyroid function. The thyroid gland is one of the largest glands in the human endocrine system. As a person ages, the risk of developing an unbalanced and unhealthy thyroid increases dramatically. Some cooking oils, especially those used in prepared foods, can have a long term negative effect on thyroid health. The long chain fatty acids contained in polyunsaturated oils are harder for the body to convert into energy, which it can use to fuel daily activities. Unlike the polyunsaturated oils found in most processed foods, the types of fat contained in coconut oil are especially nourishing for the thyroid gland. The medium-chain fatty acids present in coconut oil are more easily converted into energy and used more efficiently by the human body. Coconut oil is helpful for proper thyroid function because it stimulates a body’s healthy metabolism. Consuming the oil on a regular basis, this natural oil can improve the metabolism rate of those with thyroid issues. This improvement can also have helpful effects on the body’s hormonal balance. When ingested regularly, organic coconut oil can help to boost hormone production and also increase mental alertness. 5. Boosting the Immune System. 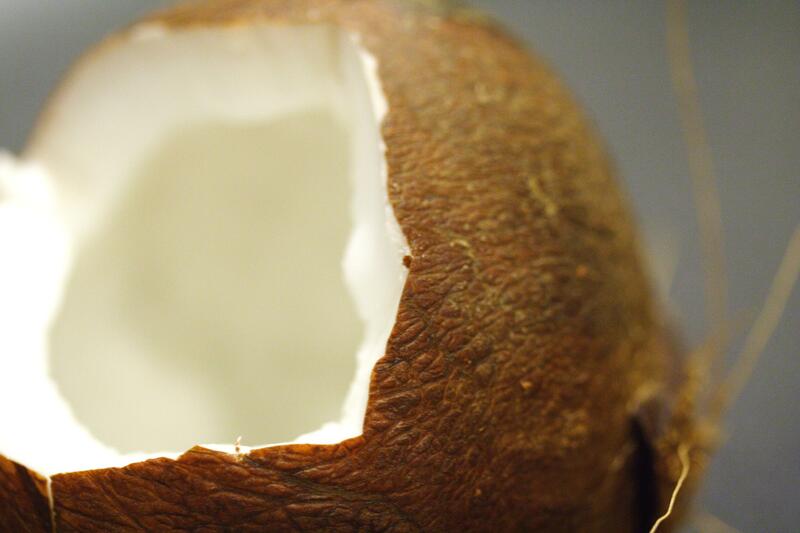 Research suggests that organic coconut oil contains more lauric acid than any substance on earth. After being consumed, the human body converts lauric acid into a product called monolaurin, which has anti-viral, anti-bacterial and anti-protozoa properties. Monoglycerides are very powerful germ-fighters. Converting lauric acid into monolaurin becomes part of the body’s internal defense answer against many types of bacteria and many viral infections. These ingredients in coconut oil have an anti-inflammatory effect and contribute to repairing damaged human tissue. The converted lauric acid may also help to inhibit chronic inflammation. Coconut oil is also widely used to protect against infection from bacteria, viruses, yeast, fungi and parasites.